With over sixty years in the running, Van Rooi is a family business with a long tradition. Innovation being a feature of every generation. What started out as entrepreneurship in the fifties, has evolved into a well-equipped, contemporary company, aware of present-day desires and sustainable demands. Explore the history of father Martien and his sons, Marc and Addy van Rooi. From farm to fork. Long before Van Rooi Meat has completed this sustainable manner of making sure our products are delivered efficiently, Martien van Rooi is already occupied with trading pigs. It is 1953 and seventeen-year-old Martien is taking his own pigs to the market in the village of Lieshout to find the most suitable buyers. After a while, he is also using his dairy company to buy and sell pigs. A trade in pork is created. In 1977, Martien builds an export center and weighing facility next to his dairy company. It is now possible for him to weigh the pigs one by one and thus sort them in the correct way; he gains much efficiency. Efficiency, a keyword that up till today is central in our business. Meanwhile, Martien’s sons, Marc and Addy, have reached an age at which they can fully function in the company. Right after his education, Marc starts focusing on export of pigs. Germany, Belgium, France, and Italy all meet Van Rooi’s pigs. However, legislation on the export of living pigs changes, so the family decides to start slaughtering the animals in the Netherlands and exporting the meat. Addy focuses on porkers and the export of pigs, piglets, and sows. This happens at the export trade center in Lieshout. In 1995, Van Rooi Meat takes over the slaughterhouse of Hapert. 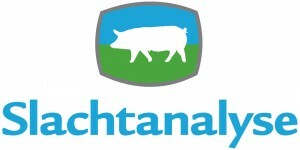 The company gains the opportunity of adding value to the pork. This takeover turns out to be a good decision; the abattoir is growing quickly. It is growing so rapidly that after several expansions, the building can no longer grow any further. So, in 2000, Van Rooi Meat buys a modern factory in Someren and moves the processing of the meat from Hapert to the new building in Someren. After all, that building has plenty of space to handle the continuous expansion. It is decided to concentrate the slaughtering in Hapert and to have the processing take place in Someren. To boost the slaughtering capacity in Hapert, Van Rooi Meat decides to renovate the cutting room in Hapert. The amount of slaughters is still increasing, but because transport is now handled directly via prominent farmers instead of via the export collecting center, the amount of porkers decreases. This forces the company to shift its focus from sows to piglets. In 2001, Van Rooi takes over a company called Gordon in Uden. This creates the possibility to start producing bacon. Gordon was specialized in processing pork into bacon. However, a year later, Van Rooi cancels the rental contract in Uden, and moves the bacon department to the modern building in Someren. In Hapert, the amount of slaughters is increasing hugely, but there are no further possibilities for expansion. 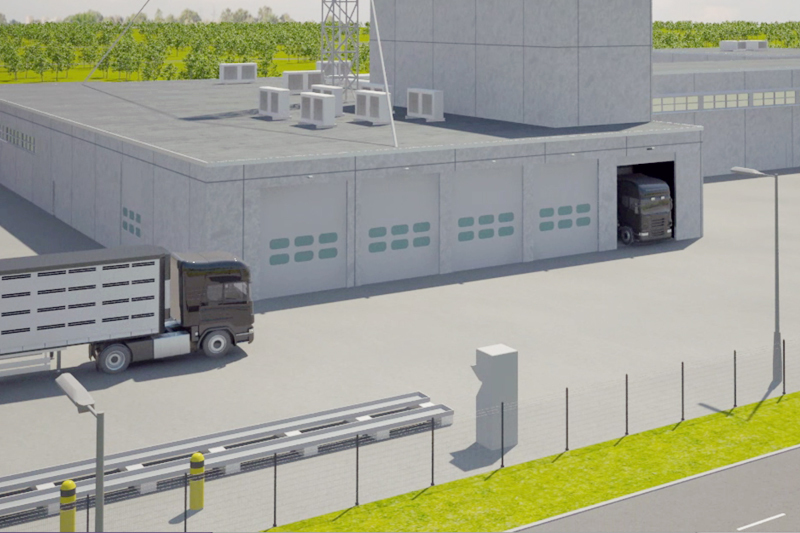 After several meetings with, among others, the municipality of Hapert and the municipality of Helmond, Van Rooi decides to build a new, modern slaughterhouse in Helmond. In 2006, Martien van Rooi proudly starts the construction work, around fifty years after bringing his first piglet to the market in Lieshout. The new, contemporary slaughterhouse opens a year later. Nowadays, Van Rooi slaughters in two shifts, optimally using the slaughterhouse’s capacity. Many pigs come from our own cattle trading company in Lieshout. They supply the slaughterhouse in Helmond with pigs and plan the slaughtering. The origin of our meat is very important to Van Rooi. Preferably, Van Rooi would like to bind regional pig farmers to the company, to further implement the sustainable character of our production. After slaughtering, Van Rooi distributes the parts of beef and pork to several affiliated company in Someren. We also distribute to customers in the industrial sector and in retail. Thanks to several takeovers, Van Rooi occupies a significant position in the retail market, taking over Van Pelt Meat in 2008, ProViande Gieten in 2010, and Deen Hobu in 2011. 2014 marks a new, important milestone for Van Rooi. The company has taken huge steps towards its ‘Farm to Fork’ process by expanding the production facility enormously. By starting to use the renewed and expanded slaughterhouse, Van Rooi is at the forefront of sustainability of meat and meat products.